4 Bedroom Semi Detached House For Sale in Penzance for Asking Price £420,000. A fantastic opportunity to acquire a stunning 4 bedroomed semi detached town house, with an integral garage, driveway parking and finished to the highest of standards throughout. The location is in the very sought after village of Nancledra, surrounded by miles of open countryside, and situated midway between the pretty harbour town of St Ives, and the thriving market town of Penzance. This exceptional home is fully fitted with integrated appliances, fully tiled bathrooms and with oak or tiled flooring throughout. The specification includes high tech air source heat pumps for the central heating, and a borehole water supply, so with the exceptional levels of insulation, the running cost will be kept to a minimum. The specification and attention to detail, as well as the true family size of this fine home really has to be seen to be believed. Please call us to view! 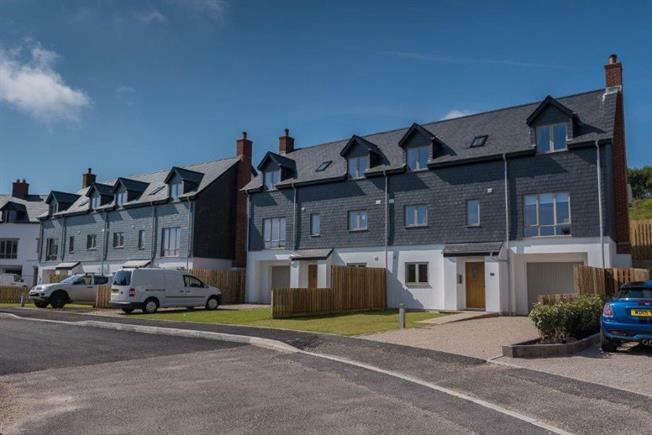 The 3 acre site is situated on the sunny side of this highly sought after village and will offer a mixture of Detached, Semi Detached and Town House style properties with a traditional design and stone, slate and weather board detailing. The project is to be undertaken by renowned local developers Ableway Construction (www.ableway.co.uk) who pride themselves on a high quality of finish and attention to detail. Please note - photos are of the showhome and are for example purposes only.